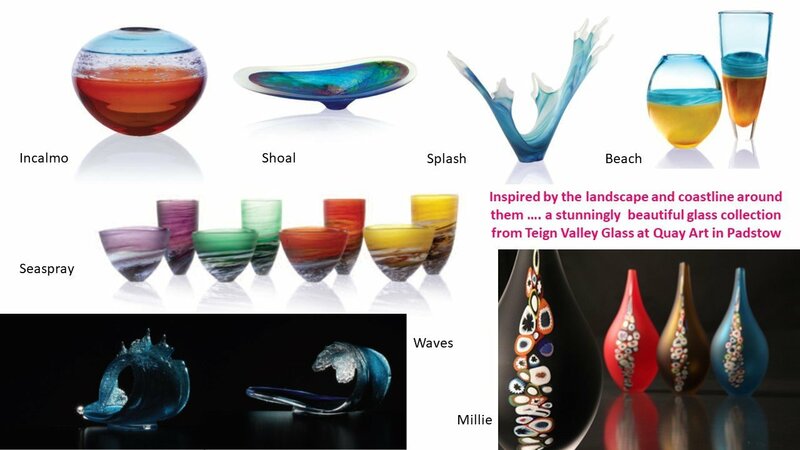 Teign Valley Glass is set in an historic pottery in Bovey Tracey, Devon and produces stylish and collectable glassware. 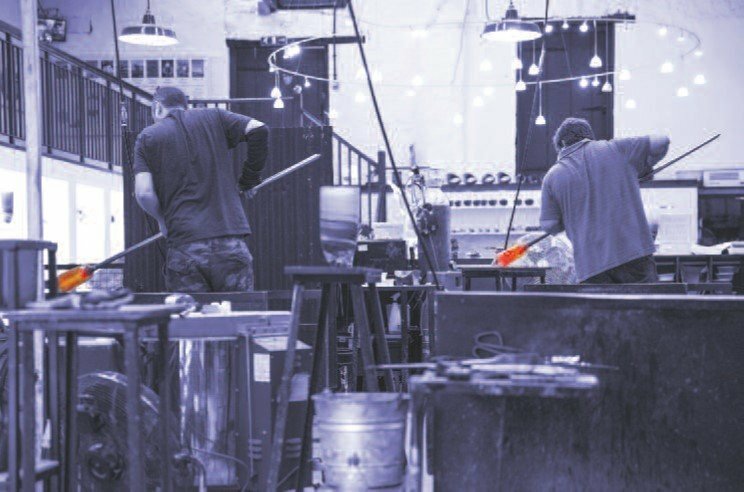 The glassblowing studio, established over 30 years ago, creates a wide selection of beautiful glassware and supplies galleries and stores across the world capturing the essence of their location in the South West of England. Their inspiration being very much taken from the landscape and coastline around them to create a beautiful contemporary collection of glass art drawn from the stunning moors and beaches they see every day. believe and hope you find is true in their work. These dynamic pieces have evolved from our love of hot glass. Each fluid piece is a statement….a dramatic moment when the glass is at its hottest…captured in unique and colourful form. The theme of coast and ocean continues in our popular Beach Vase. The bold transparency of the blue sky meets the dusty beach yellow in a mix of swirling colour that represents breaking waves as they reach the shore. The Beach Vase makes you smile…. its summer…its good times …. its great fun ! The Seaspray continues our theme of the sea and movement. The minimal form of each vessel contrasts the intricate surface and blend of colour. The patterns that emerge from the frosting of the glass are beautiful and evocative. The Millie Vase is a vessel that explores the theme of contrast. The subtle bottle form is offset by the vibrancy of the coloured millifiori embedded in its surface. Each one will has its own mix of handmade coloured canes that pull and distort as the piece is blown.